5 Pensacola Beach Vacation Rentals. Pensacola Beach, Florida is the ultimate vacation destination featuring quality rental villas, condo rentals and vacation homes. Pensacola Beach is located on the beautiful Santa Rosa Island and provides tourists unlimited options for leisure and fun. This is a vacation retreat that will allow you relax, yet have plenty of activities to participate in. This rental boasts: 1 bedroom, 1 bath, is a Condo located Waterfront! This rental boasts: 2 bedrooms, 2 baths, is a Condo located Waterfront! This rental boasts: 4 bedrooms, 3.5 baths, is a Other located Beach Block! This rental boasts: 5 bedrooms, 3 baths, is a Single Family Home located Waterfront! If you are looking to visit other great areas nearby, you can hop in the car with the family and ride over to Navarre Beach or Naples. There are plenty of other activities in these nearby cities you can enjoy, along with great shopping and dining. 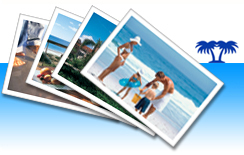 This is a great way to really enjoy the ultimate vacation experience, allowing you visit 3 Hot Spots in the state of Florida. Gulf Breeze on the Gulf of Mexico is also another area that offers plenty of activities while staying in your Pensacola Beach Vacation Rental. Well, as you can see Pensacola Beach is a fantastic place to enjoy your next vacation, so if you are looking to get away with the family and forget about the daily stress back home this is a great place to stay. There is the beach, unlimited activities, great shopping, amazing food and other great tourists attraction nearby, which will allow you to enjoy the ultimate vacation experience. You can find a great selection of vacation rentals by owner right here ativacationonlineand book your next trip online in a matter of minutes using ourvacation rental management software.This is a great way to book an amazing trip at a great value!